New rules for foreign surveyors - CHADWICK WEIR NAVEGACION S.A.
A new regulation has recently been issued by the Coast Guard Authorities by which, they will require that immigration regulations are complied with by foreign surveyors working on board vessels calling at Uruguayan ports or anchored in territorial waters. Indeed, the Migration Law Nº 18.520 states in Chapter IV, article 20 that, “foreign people admitted in the condition of “non-residents” into the country, cannot perform any work activity, but only that one matching with their entry conditions”. The people included in this category are tourists, businessmen, crewmembers, passengers, sport men, and others. In turn, the article Nº 34 rules the people that may be admitted as “temporary residents”, including technicians, specialists and surveyors. The people in the latter category, must request a special permit which will be granted by Migration Authorities considering the relevant circumstances, and for a limited period of time. Breach of this regulation may imply the impositions of fines up-to US$ 8.000 or so. Regarding this issue, the Maritime Law Association has been working for three years and has recently come up with a project of law for up-dating commercial and shipping law. One of the articles of the project states that the acting of foreign surveyors in the country is allowed proviso they are assisted by a local expert. This project of law is still to consideration of the Parliament. However, Authorities would be tended to allow the acting of foreign surveyors even if they have not requested an entry permit into the country as “temporary-resident”, but the company of a local surveyor is essential. 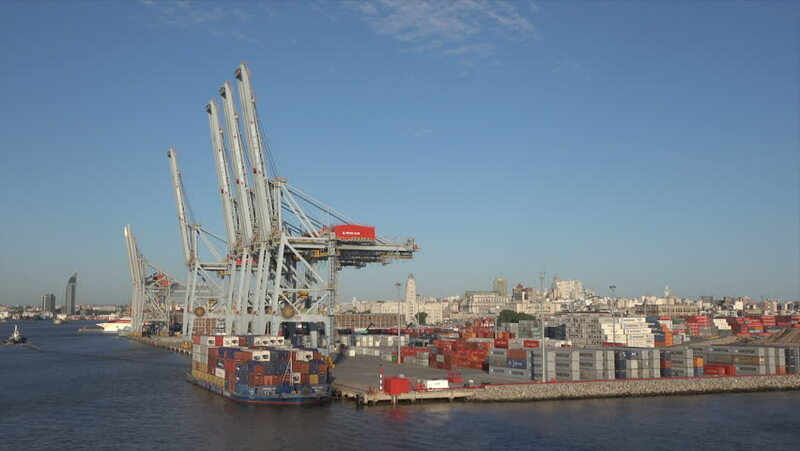 Therefore, when the appointment of foreign surveyors for vessels berthed or anchored at Uruguayan ports/waters is required, the compliance of this by-law should be considered and checked with local Agents/P&I Correspondents, in order to avoid additional expenses if the surveyor is banned to act once arrived and/or potential fines.